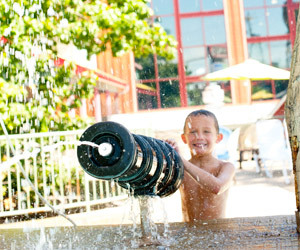 Grand Country guests are invited to come out and explore Splash Country Waterpark, Branson’s premier indoor and outdoor waterpark. Featuring nine water filled attractions, from a relaxing lazy river to an action packed treehouse with a 1,000 gallon tipping bucket. 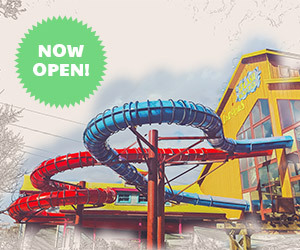 Grand Country’s two newest slides, Highwall Heights, take you on a “mine blowing” experience of twists and turns inside and out! Climb over 30’ and slide down over 400’ of slides combined. Enjoy the excitement of the LED light show as you race down both slides. 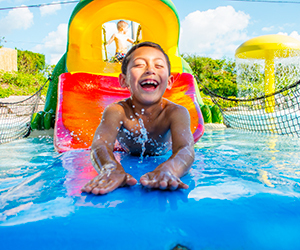 All of our waterpark attractions are included with your stay, free of charge. 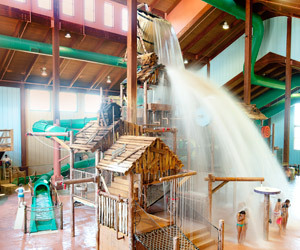 A three-level treehouse with interactive water play features on each level which offers a new water adventure for you and your unsuspecting friends below. Then, take the plunge down Grand Pa Grand’s winding, blinding tube slides! Two large tube slides will send you twisting and turning through a tunnel of darkness. Never fear, there is light at the end of the tunnel. Ride it…if you dare! Beware! The treehouse is also home to a 1,000 gallon tipping bucket which dumps every eight minutes, raining down like a tropical storm on all those below! Make a quick escape from Grand’s Fort on either of the two Crosscut Falls tube slides. 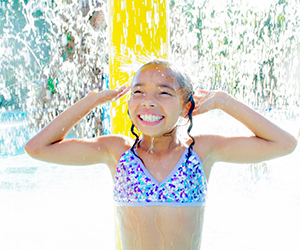 Enjoy the twists and turns down 3 stories just in time to make it to Grand’s tipping bucket! Lay back, relax and let the current take you away. 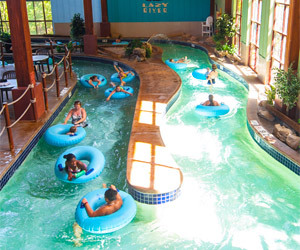 Recline in your own tube and enjoy this 250ft Lazy River meandering through the natural landscape of an Ozark river bank. The river bank features multiple seasons, possible because of large windows that bring natural outdoor surroundings of woods and a dry creek bed, all enveloped by surrounding growth commonly found along Ozarks creeks. Fly down Eureka Mine which curves through the Splash Country Glory Hole… the main gold source when this was a working mine. Guests who are prone to take a dare will love this! A twisting creek runs right through the heart of Hatfield Country. Along the way, McCoys lying-in-wait can employ waterfilled buckets and rifles on anyone who comes sliding by. Dance along with the water as five jumping levels of water squirt from the water holes in Froggie Bog. Test your guessing skills by figuring out the next direction of water. Sounds of frogs and crickets take you to a true Ozark creek bed. Slide away your time in this pool, designed especially for the young-en’s! This pool features jumping water, bungee swings, a frog slide, an Ozark Trout slide, and rocking toads. With over 2,000 sq. ft. of fun just for the young-en’s, they’re sure to have a grand time! 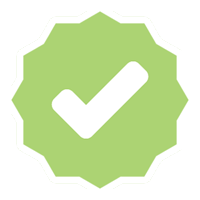 This is definitely the Splash Country “hot spot.” Revitalize and relax in our wonderful spas. 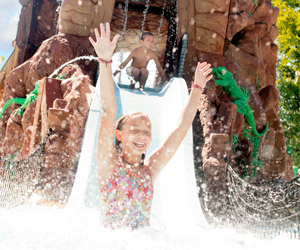 With massaging water jets, these waterin’ holes are the ultimate place for relaxation. There are two for your convenience, one for children and one for the adults. 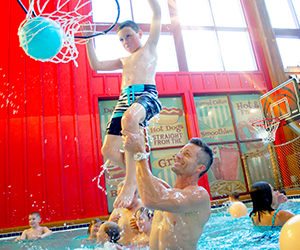 Test your basketball skills and see who is the best shot in the family, while you enjoy a swim in at Drillers Cove.